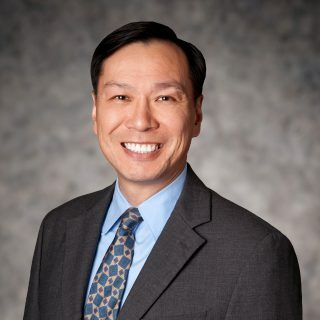 Dr. Ng has 20 years of industrial experience in drug and discovery of new treatments in areas of high unmet medical need, including cancer, auto-immune disorders (multiple sclerosis, rheumatoid arthritis, and psoriasis), cardiovascular diseases (stroke), and chronic pain. He has been awarded 66 U.S. patents for his work in these areas. Since joining Hughes Hubbard and Reed, Dr. Ng has experience in supporting patent litigation and Section 337 actions. He also has experience in patent prosecution and opinion work including both non-infringement and invalidity analyses. “Structure Function Differences in Nonpeptide CCR1 Antagonists for Human and Mouse CCR1.” J. Onuffer, M. A. McCarrick, L. Dunning, M. Liang, M. Rosser, G.-P. Wei, H. Ng, R. Horuk, J. Immunology 2003, 170, 1910-1916. “Automated Parallel Solid-Phase Synthesis of Non-Peptide CCR1 Receptor Antagonists.” B. O. Buckman, A. Ghannam, A. Li, M. Liang, R. Mohan, H. P. Ng, Combinatorial Chemistry & High Throughput Screening 2002, 5, 249-251. “Design, Synthesis, and Activity of a Novel Series of Factor Xa Inhibitors: Optimization of Arylamidine Groups.” G. Phillips, W. J. Guilford, B. O. Buckman, D. D. Davey, K. A. Eagen, S. Koovakkat, A. Liang, M. McCarrick, R. Mohan, H. P. Ng, M. Pinkerton, B. Subramanyam, E. Ho, L. Trinh, M. Whitlow, S. Wu, W. Xu, M. M. Morrissey, J. Med. Chem. 2002, 45, 2484-2493. “CCR1-Specific Non-peptide Antagonist: Efficacy in a Rabbit Allograft Rejection Model.” R. Horuk, S. Shurey, H. P. Ng, K. May, J. G. Bauman, I. Islam, B. Buckman, G.-P. Wei, W. Xu, M. Liang, M. Rosser, L. Dunning, J. Hesselgesser, R. H. Snider, M. M. Morrissey, H. D. Perez, C. Green, Immunol. Lett. 2001, 76(3), 193-201. “A Non-peptide Functional Antagonist of the CCR1 Chemokine Receptor is Effective in Rat Heart Transplant Rejection.” R. Horuk, C. Clayberger, A. M. Krensky, Z. Wang, H.-J. Groene, C. Weber, K. S. C. Weber, P. J. Nelsen, K. May, M. Rosser, L. Dunning, M. Liang, B. Buckman, A. Ghannam, H. P. Ng, I. Islam, J. G. Bauman, G.-P. Wei, S. Monahan, W. Xu, R. H. Snider, M. M. Morrissey, J. Hesselgesser, H. D. Perez, J. Biol. Chem. 2001, 276, 4199-4204. “Identification and Characterization of a Potent, Selective, and Orally Active Antagonist of the CC Chemokine Receptor-1.” M. Liang, C. Mallari, M. Rosser, H. P. Ng, K. May, S. Monahan, J. G. Bauman, I. Islam, A. Ghannam, B. Buckman, K. Shaw, G.-P. Wei, W. Xu, Z. Zhao, E. Ho, J. Shen, H. Oanh, B. Subramanyam, R. Vergona, D. Taub, L. Dunning, S. Harvey, R. H. Snider, J. Hesselgesser, M. M. Morrissey, H. D. Perez, R. Horuk, J. Biol. Chem. 2000, 275, 19000-19008. “Discovery of Novel Non-peptide CCR1 Receptor Antagonists.” H. P. Ng, K. May, J. G. Bauman, A. Ghannam, I. Islam, M. Liang, R. Horuk, J. Hesselgesser, R. M. Snider, H. D. Perez, M. M. Morrissey Chemtracts 2000, 13(7), 435-438 (review). “Chemokine Receptor Antagonists.” R. Horuk and H. P. Ng, Med. Res. Rev. 2000, 20, 155-168 (review). “Species Selectivity of a Small Molecule Antagonist of the CCR1 Chemokine Receptor.” M. Liang, M. Rosser, H. P. Ng, K. May, J. G. Bauman, I. Islam, A. Ghannam, P. J. Kretschmer, H. Pu, L. Dunning, R. M. Snider, M. M. Morrissey, J. Hesselgesser, H. D. Perez, R. Horuk, Eur. J. Pharm. 2000, 389, 41-49. “Discovery of Novel Non-Peptide CCR1 Receptor Antagonists.” H. P. Ng, K. May, J. G. Bauman, A. Ghannam, I. Islam, M. Liang, R. Horuk, J. Hesselgesser, R. M. Snider, H. D. Perez, M. M. Morrissey, J. Med. Chem. 1999, 42, 4680-4694. “The Discovery and Therapeutic Applications of CCR1 Chemokine Receptor Antagonists.” R. Horuk and H. P. Ng, IDrugs 1999, 2, 418-425 (invited review). “Design, Synthesis, and Activitiy to 2,6-Diphenoxypyridine-Derived Factor Xa Inhibitors.” G. Phillips, D. D. Davey, K. A. Eagen, S. K. Koovakkat, A. Liang, H. P. Ng, M. Pinkerton, L. Trinh, M. Whitlow, A. M. Beatty, M. M. Morrissey, J. Med. Chem. 1999, 42, 1749-1756. “The Discovery of N-[2-[5-Amino(imino)methyl]-2-hydroxyphenoxy]-3,5-difluoro-6-[3-(4,5-dihydro-1-methyl-1H-imidazol-2-yl)phenoxy]pyridin-4-yl]-N-methylglycine (ZK-807834): A Potent, Selective and Orally-Active Inhibitor of Factor Xa.” G. Phillips, B. Buckman, D. Davey, K. Eagen, W. Guilford, J. Hinchman, E. Ho, S. Koovakkat, A. Liang, D. Light, R. Mohan, H. P. Ng, J. Post, D. Smith, B. Subramanyam, M. E. Sullivan, L. Trinh, R. Vergona, J. Walters, K. White, M. Whitlow, S. Wu, W. Xu, M. M. Morrissey, J. Med. Chem. 1998, 41, 3557-3562. “Identification and Characterization of Small Molecule Functional Antagonists of the CCR1 Chemokine Receptor.” J. Hesselgesser, H. P. Ng, M. Liang, W. Zheng, K. May, J. G. Bauman, S. Monahan, I. Islam, G. P. Wei, A. Ghannam, M. Rosser, R. M. Snider, M. M. Morrissey, H. D. Perez, R. Horuk, J. Biol. Chem. 1998, 213, 15687-15692. “Total Synthesis of the Macrolide Antibiotic Rutamycin B.” D. A. Evans, H. P. Ng, D. L. Rieger, J. Am. Chem. Soc., 1993, 115, 11446-11459. “Studies Directed Toward the Synthesis of the Rutamycins. Assemblage of the Polypropionate Region of Rutamycin B.” D. A. Evans and H. P. Ng, Tetrahedron Lett., 1993, 34, 2229-2232. “Diastereoselective Anti-Aldol Reactions of Chiral Ethyl Ketones. Enantioselective Processes for the Synthesis of Polypropionate Natural Products.” D. A. Evans, H. P. Ng, J. S. Clark, D. L. Rieger, Tetrahedron, 1992, 48, 2127-2142. “Enantioselective Catalyzed Intramolecular Cyclopropanations of Unsaturated Diazo Carbonyl Compounds.” W. G. Dauben, R. T. Hendricks, M. J. Luzzio, H. P. Ng, Tetrahedron Lett., 1990, 31, 6969-6972. “Discovery of CRX-103, a Novel Duocarmycin-Tumor-Activated Prodrug Conjugate, through Chemical Optimization. In vitro Characterization and Proof of Principle.” AACR-NCI-EPRTC International Conference on Molecular Targets and Clinical Therapeutics, Miami Beach, FL (November, 2001; poster). “The Identification of Highly Specific Small Molecule Antagonists of the CCR1 Receptor.” 5th International Anti-Inflammatory Summit, Princeton, NJ (February, 1999; oral presentation). “The Identification of Highly Specific Small Molecule Antagonists of the CCR1 Receptor.” 26th National Medicinal Chemistry Symposium, Richmond, VA (June, 1998; oral presentation). “Design, Synthesis and Biological Activity of Novel Factor Xa Inhibitors. Aryloxy Substitution at the C-4 Position of the 2,6-Diphenylpyridine Series.” 215th American Chemical Society National Meeting, Dallas, TX (March, 1998; poster). “The Identification of Highly Specific Small Molecule Antagonists of the CCR1 Receptor.” NMHCC Second International Conference on Chemokines in Disease Models and Pathogenesis, Washington, D. C. (December, 1997; oral presentation).